Pupils from Witchampton CofE First School had a day learning about fire safety and took part in a Fire of London project, dressing in costumes of the era. Children from Witchampton CofE First School, part of Wimborne Academy Trust, have discovered so many different ways of learning about one topic that they are destined to rise to the top of their class. Pupils from Years 1 and 2 studying the Great Fire of London discovered that it started in a humble bakery in Pudding Lane in 1666. As part of their studies they baked bread, made Tudor houses from cardboard boxes, dressed up in 17th century costume, reflected by candlelight and enjoyed a visit from Dorset Fire and Rescue. Head of Witchampton CofE First School, Cathie Bolton, said, “Studying a topic like the Great Fire of London is far more than just a history lesson for our children. “We use themes from the topic to inspire us in maths, creative work and even personal safety. Witchampton CofE First School is in the village of Witchampton, which has a population of just 398 and is situated five miles north of Wimborne. It is one of seven first and middle schools in Wimborne Academy Trust (WAT), which was formed in March 2015. All of its academies are rated either Good or Outstanding. 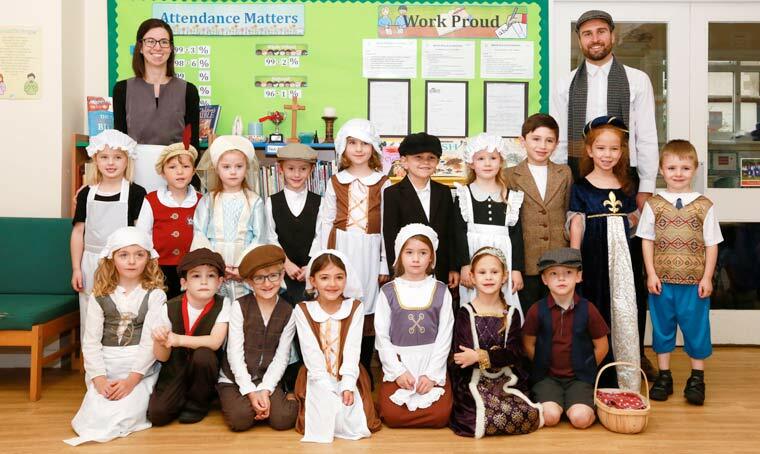 Pupils from Witchampton CofE First School had a day learning about fire safety and took part in a Fire of London project, dressing in costumes of the era. 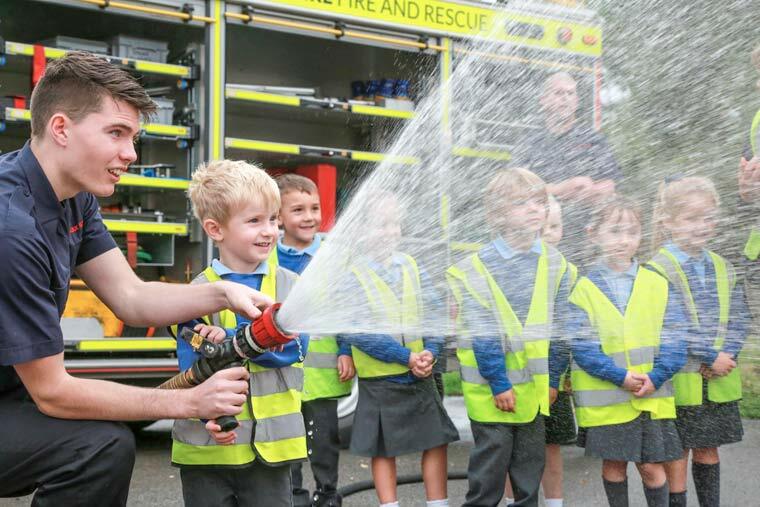 Retained firefighter James Booker is pictured helping children spray some water.